Seriously! Hiking is simply walking on a trail to see things that are beautiful. It is something that everyone can do together. The only gear you will need, are shoes and a hat. The hat is also optional if you don't worry about the sun. This is one the best ways to exercise. It is low-impact and high in caloric burn. You are burning calories going up and down the mountains. Studies show that hikes are also good for your mental and emotional health. They reduce stress, lower anxiety and help fight depression. Therefore, hiking shrinks your waist while putting a smile on your face. As this is something that everyone can do, hiking can be a multigenerational activity. Shared experiences create bonds between people and who doesn't want to bond over amazing views? There is also a lot of space for talking. Going to the movies doesn't leave much time for chitter chatter but hiking on a mountain totally disconnected with technology will make even the quietest of partners start to open up. Harvard studies have shown that people who do things together, especially something physically demanding are more committed to one another and feel closer afterward. 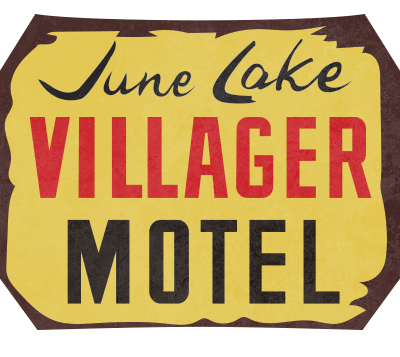 To get there: Look for the sign located on the north end of the June Lake Loop, by Grant Lake. Follow the dirt road until it ends at the trailhead. It’s from the parking lot that the hike begins. This hike starts as a climb but is flat for the majority of the hike. It ends at a beautiful lake. This is considered an easy hike- it is 4 miles so even though everyone can go on this hike you will need water. To get there: Go north of Lee Vining about 7 miles and go left when you see the Lundy Lake sign. Follow this road past the lake. It will turn into a dirt road following many shallow ponds and beaver damns. The dirt road ends at the trailhead. This trail is absolutely gorgeous from beginning to end. You do cross multiple streams so be sure to wear shoes you are okay getting wet. You will see waterfalls, beaver pools, and more wildflowers then you can imagine. If you hike long enough you will get to 20 basins just outside of Yosemite. This is a great hike, spring, summer or fall. To get there: Rush Creek Trail starts at Silver Lake, by the Frontier Pack Station and ascends the granite ridge that towers over Silver Lake. This trail is a beautiful way to see the backcountry. You'll hike through wildflowers and see the trail that was used to bring supplies up while they were building the dam. You shouldn’t miss the two lakes that you can get to from this hike just because it is hard- the lakes are worth it. With these three hikes that are a must see, there is a level that anyone can find the perfect hike. Lace up, get your hat, take your sunscreen, grab water, grab grub, and finally connect with nature to fill up your soul.